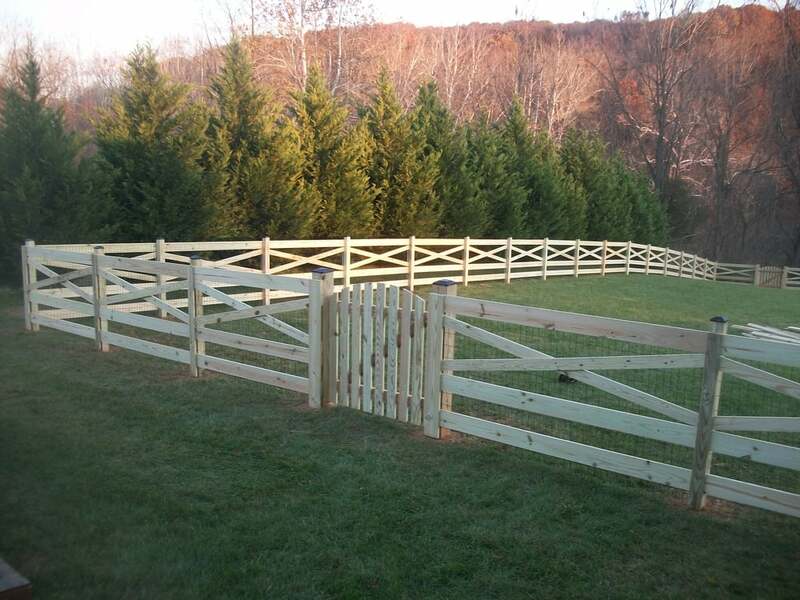 Is A Nashville Fence Contractor That Installs Quality Residential And Commercial Fences In Nashville TN And All Surrounding Areas. Whether you need a residential fence for privacy, a commercial fence for security, or just fencing to define your property, we are the Nashville fence contractors that will install your fence right the first time. As a family owned business we take pride in being one of the few Fence Companies that carry a Tennessee State Contractors License in the Nashville area. We also carry Workman's Comp and G.L. insurance for your protection, and provide a workmanship warranty on all the work we do. Our service always includes using top grade fence material and providing superior fences at a competitive price. Just to prove it, we offer free fence estimates. Commercial Fences, and Fence Repair just to name a few. In Fact We Are The Best Choice For All Your Fencing Needs! Just ask any of our customers! Referrals are available upon request. 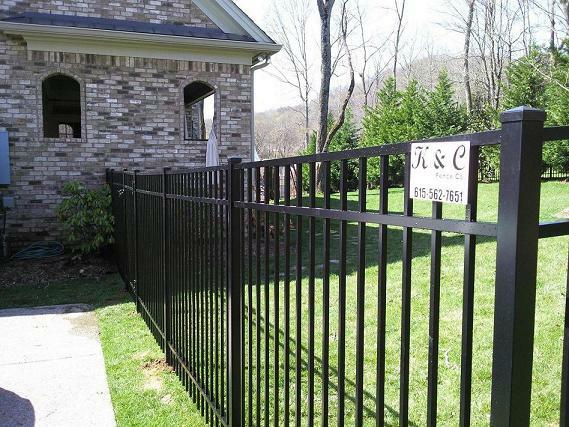 Be sure to check out the K & C Nashville Fence Gallery where we update pictures of the quality fences we install. If you would like to purchase a new fence just fill out the Fence Nashville Estimate Form or give us a call today. Watch Our Nashville Fence Informational Video And Educate Yourself Before You Buy. Have a closer look at the wide range of quality fence we provide in Nashville Below. that private setting you have always wanted. We also have many styles of privacy fence available from Table Top privacy to your standard dog eared privacy. Find out more about our Privacy Fence. Our Wood fencing is a natural product and offers many style options, not to mention a custom wood fence can be cut and shaped to make your vision come true. Our Aluminum fence adds elegance to any home, will never rust or rot, and requires little to no maintenance. Ornamental aluminum fencing is also a great choice for your pool, yard or Commercial property. Find out more about our Aluminum Fence. Our Chain Link fencing is probably the best combination of low cost and high strength fencing available. A chain link fence can be great for pet containment or to define your property. Find out more about our Chain Link Fence. Our Steel Fence gives that look of ornamental with the strength of steel, and is a great choice for your residential or commercial property. In addition, Steel fencing also comes with a 20 year warranty. Find out more about our Steel Fence. Our Picket fencing can give you all the benefits in a more manageable height, and can provide that traditional picket fence look you have always wanted. Find out more about our Picket Fence. Our Vinyl - PVC fencing has many style options and is almost maintenance free, not to mention the money you save on staining when you install a Vinyl - PVC fence. Find out more about our Vinyl - PVC Fence. Our farm fence comes in many types of material including wood and vinyl (PVC). Farm fencing is also great for animals or to give your home a unique rustic look. Find out more about our Farm Fence. Our Commercial fencing comes in many different styles and can be added to any commercial or residential property for security and a strong look. Commercial fence also comes in Industrial grade. Find out more about our Commercial Fence. Do you live outside of Nashville and are wondering if we service your area? Check out the Nashville Surrounding Areas We Service. Because at K & C Fence Company we don't just provide fence in Nashville but also in all surrounding Nashville Davidson County TN areas. To see all the areas we service, check out the surrounding areas we serve page.